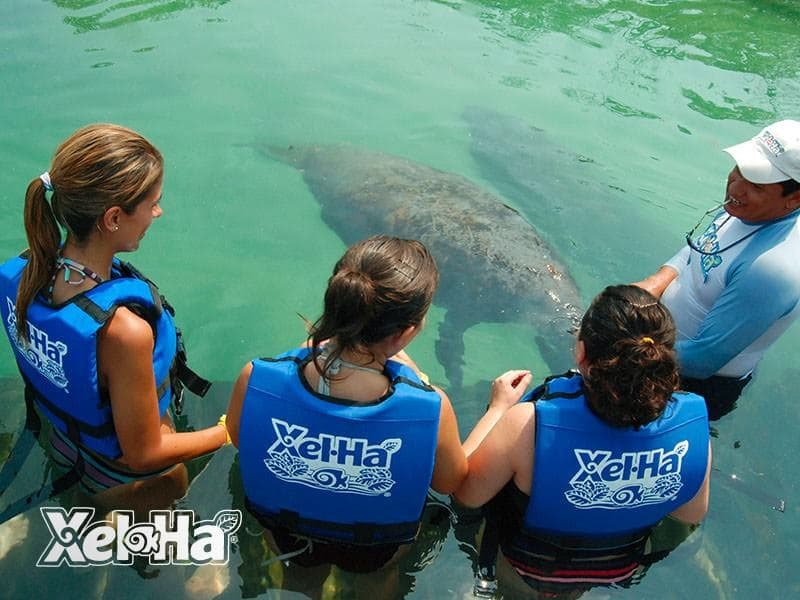 Meet the friendly manatees that live in Xel-Há Park. 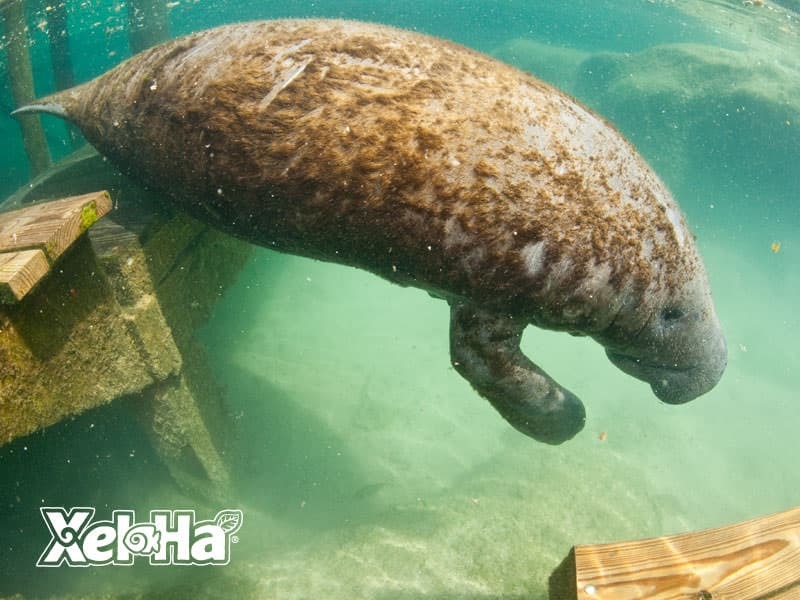 During this activity of 40 min, you will have the opportunity to interact with this docile species, learn about their biology and anatomy, behavior and interesting facts of the spectacular manatees of Xel-Há. 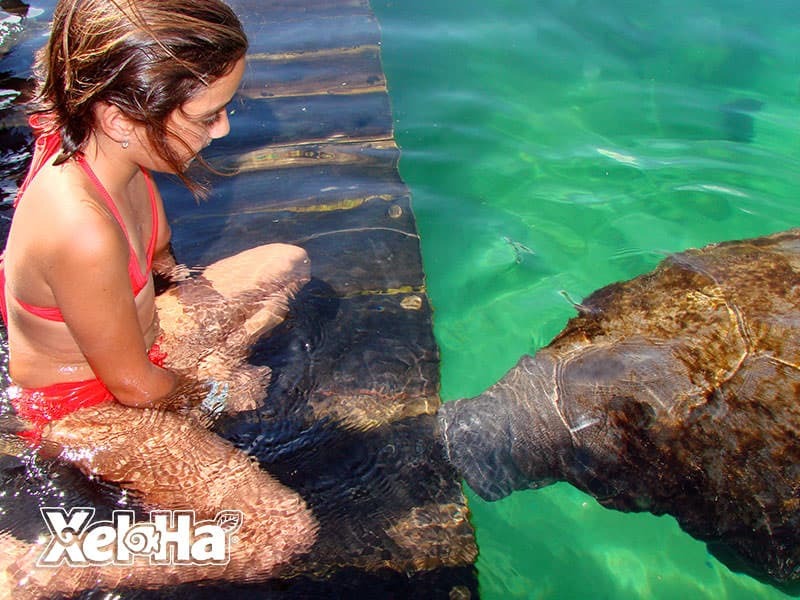 You will be able to hug, pet and feed them. 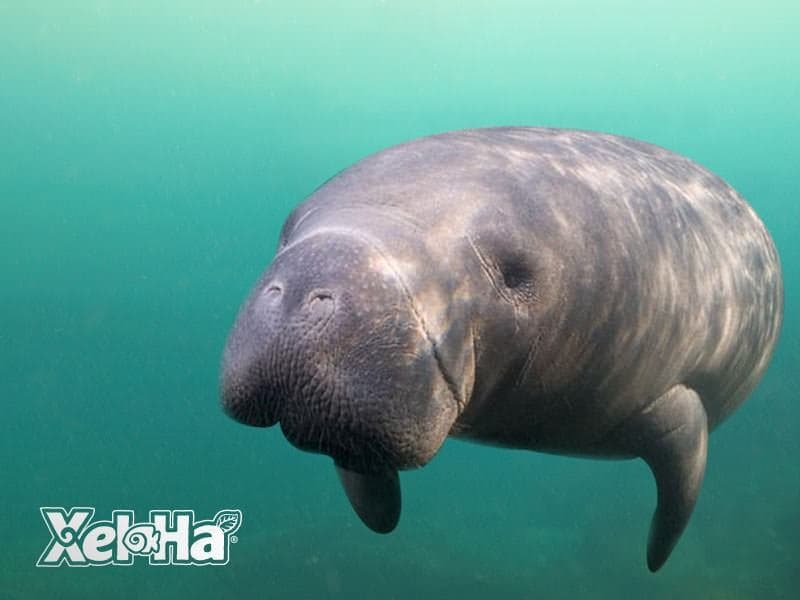 This is an educational activity, in order to disseminate the importance of this species that is in danger of extinction due to the deterioration of their habitat and poaching; therefore Xel-Há maintains a permanent program of rescue and conservation of manatees, contributing to the survival of the species. 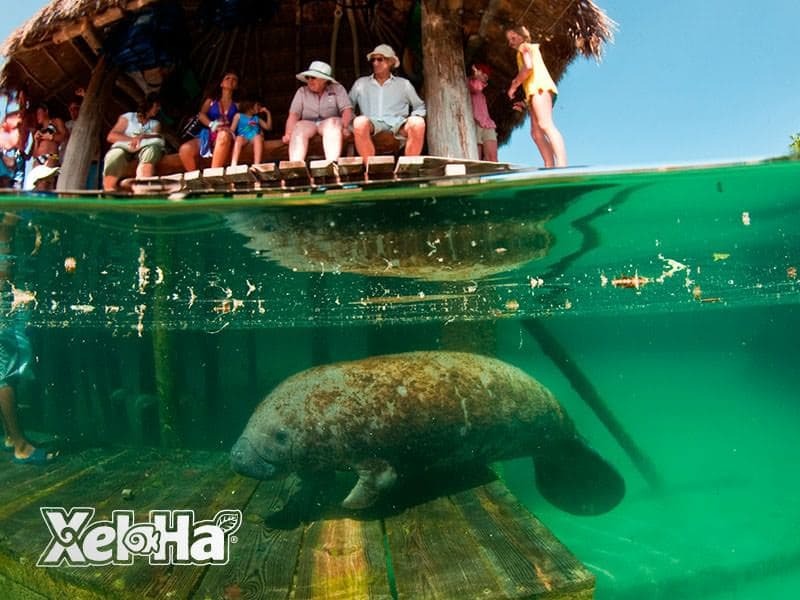 Hours: 2:00 p.m. and 3:00 p.m.
Duración: 40 min (5 min welcome / 20 min interaction on platform / 10 min snorkel snorkel with manatees/ 5 min farewell). 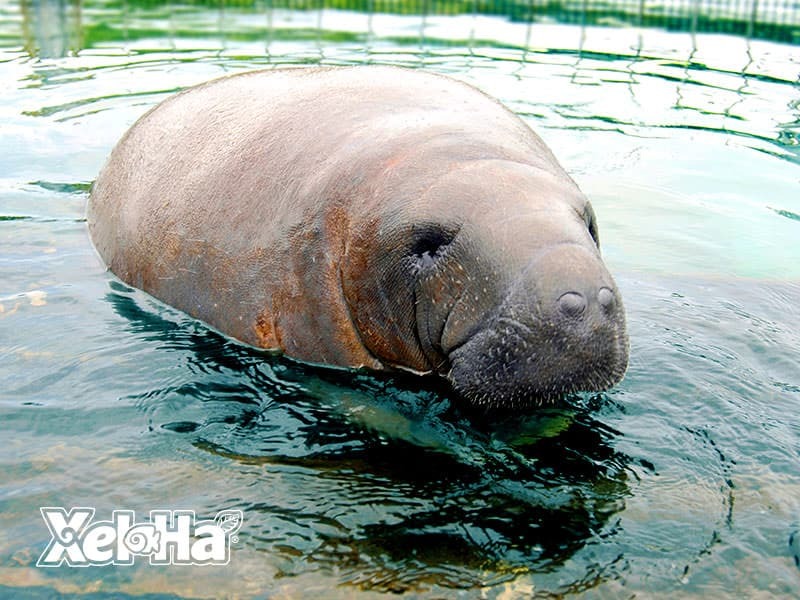 Minimum age: 5 to 10 years old. (Children must be accompanied by an adult during the activity, both pay). To offer you a better service, remember to confirm your activity reservation upon arrival to the park, where you will be able to choose your preferred schedule. It will be necessary to bring two printed coupons to deliver at the ticket office and at the interior of the Park. Those who suffer ear problems, asthma, epilepsy, claustrophobia, hypertension, diabetes, heart disease and pregnant women cannot participate in this activity. The photos have an additional cost.